Teeth whitening is an incredibly popular procedure nowadays. It’s an aesthetic dental procedure, rather than a medical procedure, and leaves teeth noticeably brighter and more brilliant to behold. It eliminates the stains left on teeth by the consumption of substances such as tea, coffee, red wine, cigarettes, and certain foods. 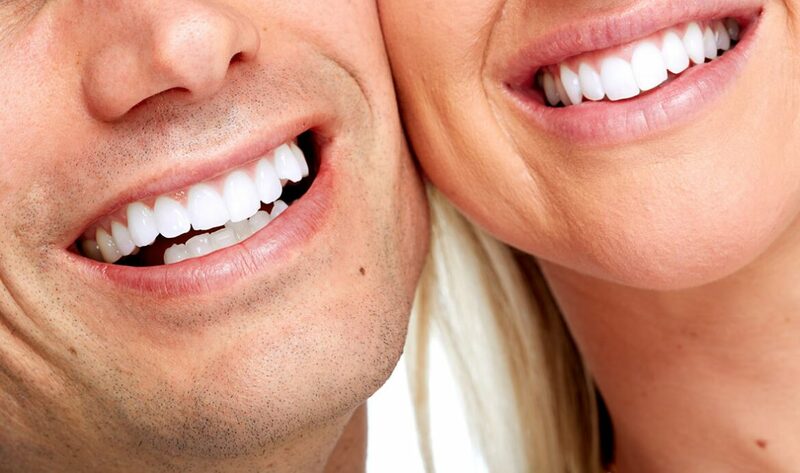 People often decide to have their teeth whitened to increase their confidence and self-esteem. Having a brand new smile can change the way a person views themselves and makes them feel like they can do anything. Some people decide to have their teeth whitened because they have an important event coming up, such as a wedding or school reunion, and they want to look their best in photos. Some people may whiten their teeth before an important job interview as they feel it will help them to make a better first impression. Regardless of your individual motivation, having a brighter, whiter smile is always a good thing, and this is why we’re proud to offer teeth whitening at Rivera Dental. The teeth whitening process at Rivera Dental is very straight forward. It is performed onsite at the clinic and takes just 60 minutes to perform; the patient will notice a difference immediately. This treatment can be repeated six months to a year later depending on the severity of any stains and discolorations that the patient has. The teeth whitening procedure will not affect any pre-existing dental fixtures you may have, such as restorations, amalgams, resins, white fillings, inlays, crowns, or bridges, so there is no cause for concern. Even if you’re not based in Costa Rica, you may wish to pay us a visit to take advantage of dental tourism. Dental tourism is a phenomenon where people travel abroad in order to receive cheaper, yet still excellent, healthcare. It’s growing in popularity in countries where healthcare is expensive, such as the United States, and people are opting to travel to different countries, often pairing a vacation with their healthcare procedure. Rivera Dental is one of the largest plastic surgery, reconstructive and odontology clinics in Costa Rica. Our team of professionals all have years of experience at some of the finest dental and educational institutes in the world and we are constantly training with the latest technology to ensure we always deliver at the highest level. Rivera Dental was founded by Dr Erick Rivera in 2006. Dr Rivera is a doctor in Oral and Maxillofacial Surgery, specialized in caring for patients with teeth that have been subjected to impact, have facial pain, and jawbone growth disorders. Since studying at the Universidad Javeriana of Colombia, Dr Rivera has worked at some of the finest institutions in Central and South America, including the Hospital Central de la Policía Nacional (National Police Central Hospital), Bogotá, Colombia and the Private practice at Kaver Dental Cosmetics, Sabana Sur, Costa Rica. Get in touch with us today to find out how we can help you with your teeth whitening needs.